"I am passionate about food production, sustainable use of water and the results and the use of science, education and communication strategies." 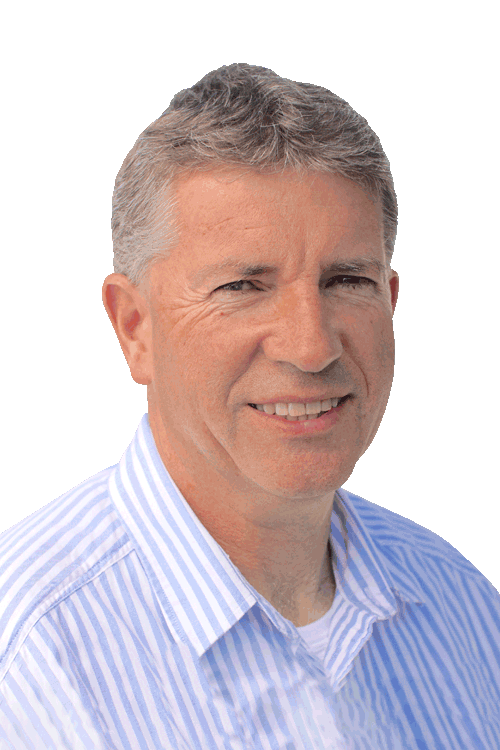 Andrew is the chair of Deer Industry NZ and Past President of the NZ Institute of Primary Industry Management. 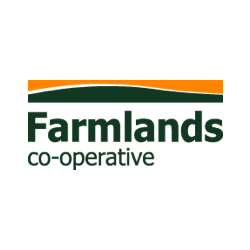 He is the founding director of Macfarlane Rural Business Ltd and has been a practicing farm management consultant since 1981. 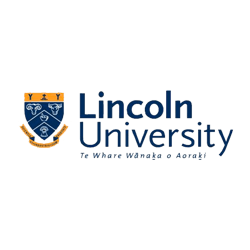 He is also a director of ANZCO Foods Ltd, AgResearch and a member of the Lincoln University Council. He is a past winner of the Ballance Farm Environment Awards Canterbury (2003) and runner up of the Lincoln University Foundation South Island Farmer of the Year (2007). 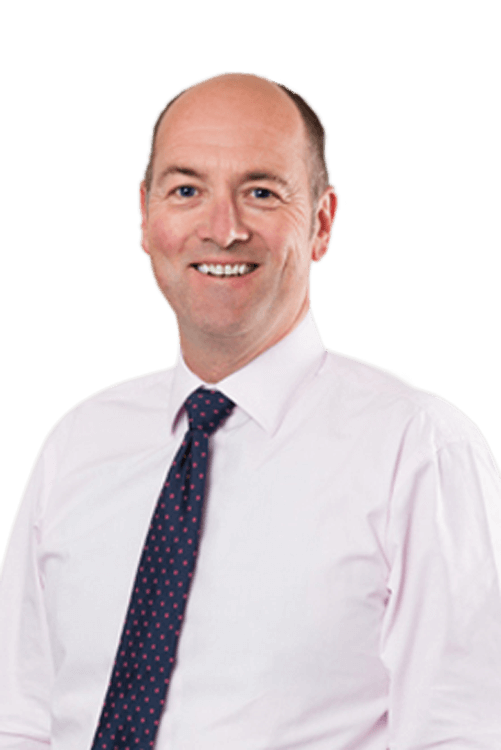 Andrew has a Bachelor of Agricultural Science and is a member of the Institute of Directors. With over 30 years experience Andrew has an intimate knowledge of all aspects of primary sector business and a keen interest in building businesses and investment portfolios. 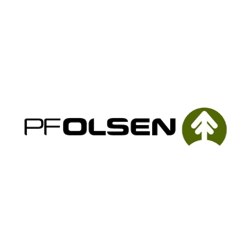 "Enhancing the effectiveness of iwi participation in natural resource planning and management and developing the resource management tools for this to happen is my passion." Gail is an Honorary Research Fellow with the University of Otago Geography Department. She has a Doctor of Philosophy and Master of Regional and Resource Planning, both from the University of Otago. She is a director of Tipa and Associates, a whānau led company providing resource management advice and research services to a wide range of clients including iwi and Crown entities, as well as private companies. 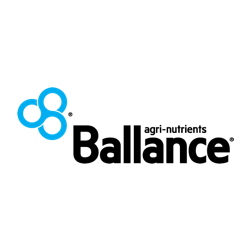 Other governance roles include: trustee of Kāi Tahu Ki Otago Charitable Trust and a director of Kāi Tahu Ki Otago Ltd. Previous governance roles include: the Otago District Health Board, the Community Trust of Otago, representative for Te Rūnanga o Ngāi Tahu (representing Te Rūnanga o Moeraki), director of Timberlands West Coast and associate director of Ngāi Tahu Property. Gail brings an innate understanding of the importance of ensuring sustainable land use and adherence to Māori cultural values are at the forefront of any new business development. "I am an independent director with a particular interest in governance and strategic/business planning." Gil currently holds multiple directorships and trusteeships and maintains a keen interest in professional education and development having spent many years as the executive director of one of NZ’s larger post-graduate professional education and development programmes. He currently chairs MainPower NZ Ltd, Transwaste Canterbury Ltd, EPL Ltd, and Talbot Technologies Ltd. Other board appointments include NZ Transport Agency, Shopping Centre Investments Ltd, Independent Fisheries Ltd and Canterbury Museum. 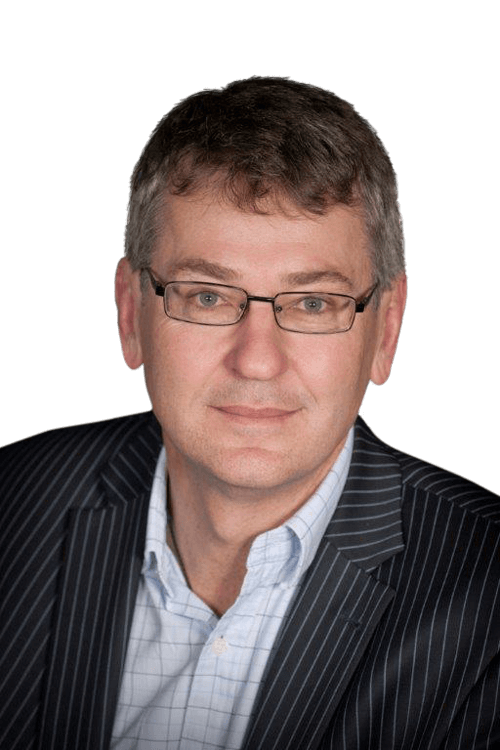 As a partner in Deloitte for 25 years Gil brings a wealth of financial knowledge to the board and holds a Master of Commerce (Hons); is a Fellow of the Institute of Chartered Accountants of Australia and New Zealand; and is a member of the Institute of Directors. "Our success is determined by many people working together towards a common purpose." 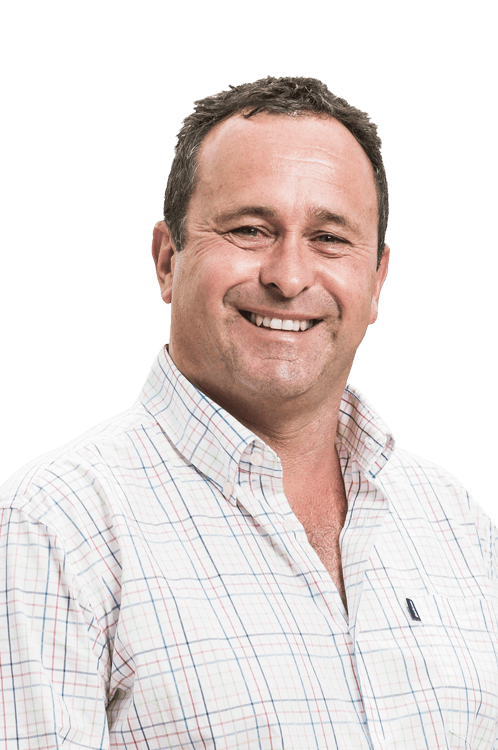 Mike is the Chief Executive of Ngāi Tahu Holdings, a diversified investment company with assets exceeding $1.3 billion and interests in Farming, Property, Seafood, Tourism, Transport and Mānuka Honey amongst others. He is a director of Go Bus and Watson and Son and a board member for the NZ Council of Infrastructure Development and the Sustainable Business Council. 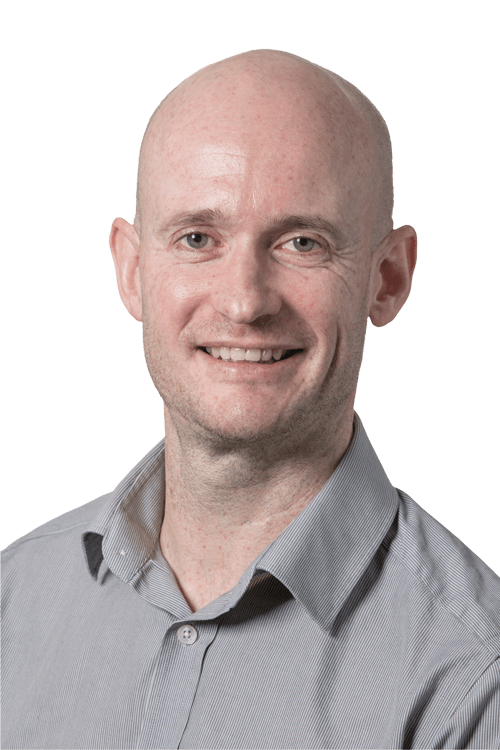 Mike has a commerce degree majoring in accounting from Victoria University and is a full member of the NZ Institute of Chartered Accountants and the NZ Institute of Directors. 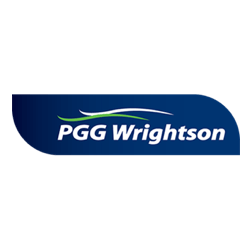 Prior to joining Ngāi Tahu Holdings, he was the CFO for listed company, PGG Wrightson. Mike understands the value of intergenerational wealth creation – Mō tātou, ā mō kā uri, ā muri ake nei. "I am a Director with Southfuels Ltd, M2M NZ ltd and Timaru District Holdings Ltd. I also act as an advisor to fast growth companies in the technology sector." 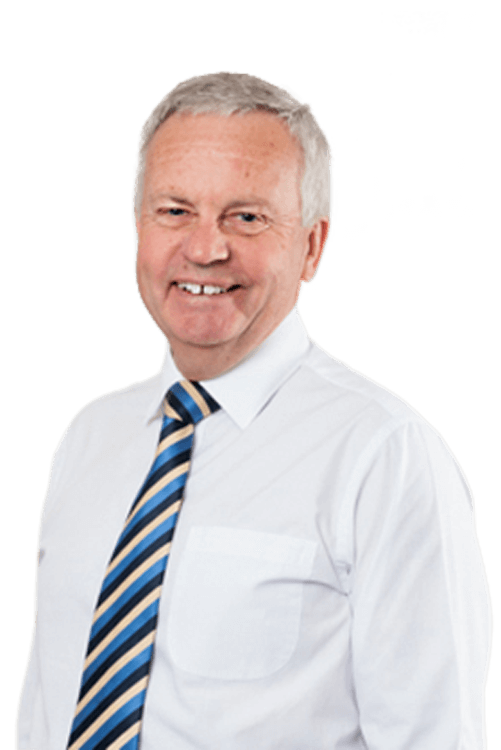 Richie is currently chair of Hilton Haulage Transport Group, Heavy Diesel Parts and Services Ltd, and Pacific Biocomposites Ltd. 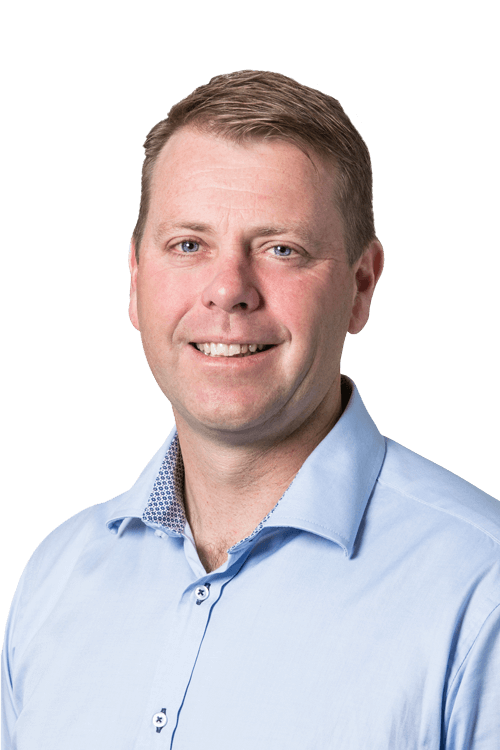 He is also a director with Southfuels Ltd, M2M NZ ltd and Timaru District Holdings Ltd and acts as an advisor to fast growth companies in the technology sector. 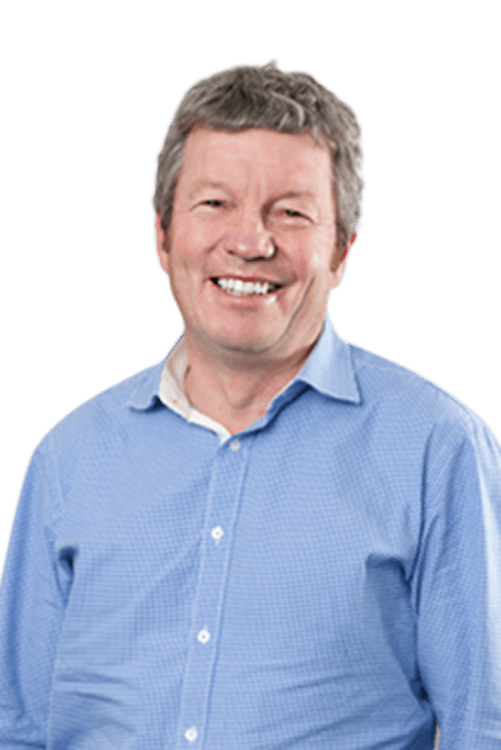 He is a previous chair and transitional CEO of Farmside Group, a business focused on providing telecommunications and telemetry products to rural New Zealand, chief executive of GreenFields (the farm supply co-operative) and the FarmDirect petroleum distribution business. He also has considerable experience in the dairy processing industry. Richie has a Master of Business Administration from Massey University and has completed postgraduate study at Stanford University. As the managing director of Richie Smith Ltd since 2003 Richie brings experience in new business opportunities, mergers, acquisitions and change management. "As a country we need to acknowledge and recognise the importance of getting young Māori back on the land for the future success of our primary sector." 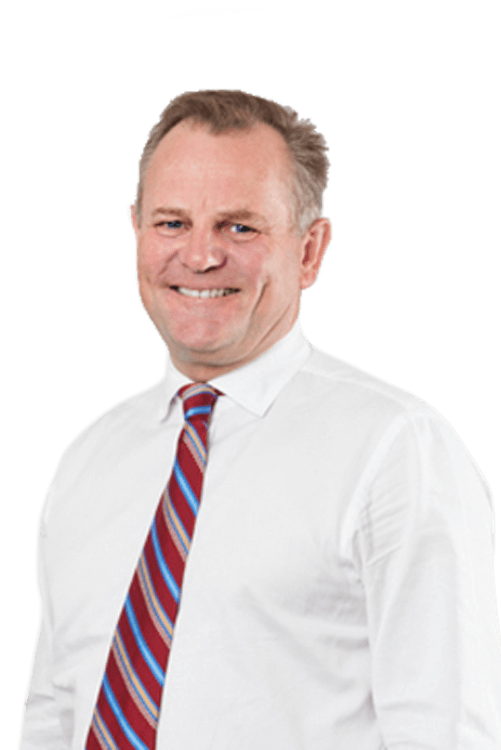 Rick has over 30 years experience in the New Zealand agricultural industry in a variety of roles including as a banker, adviser, director, investor, CEO and farmer. He is also the owner/director of Awanui Consultants Limited, an agricultural investment advisory business and operates his own farm on Motutapu Island. He is a Fellow of the New Zealand Institute of Directors and currently serves as the chair of: United Fire Brigades Association, Carbon Farming Trust, Ngāti Whare Holdings Limited and Ngāti Paoa Group Holdings Limited. He is also a director of Appliance Connexion Limited, Pengxin New Zealand Farm Group Limited, Kakano Whakatipu Limited and Motutapu Farm Limited. Rick understands the important relationship Māori have with the whenua built from many years working with iwi land holdings. "I have a passion for creating pathways of progression for our rangatahi, as well as ensuring I am a responsible kaitiaki of the taiao (environment) for our future generations." 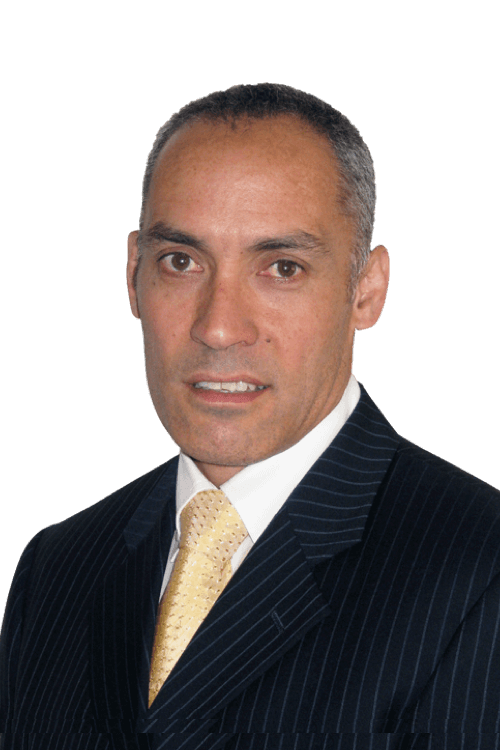 Warwick is the CEO of Parininihi ki Waitotara, a Taranaki-based Māori incorporation with $350M in assets which looks after the interests of over 9,500 shareholders. He sits on the boards of Port Nicholson Fisheries and Te Oranga Livestock. He has extensive executive management experience in the agribusiness, seafood, property, engineering, construction and asset management sectors both in New Zealand and the Middle East. 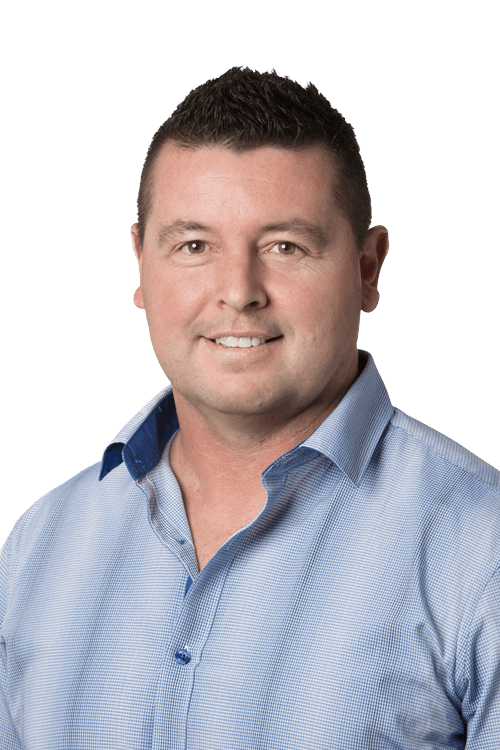 Warwick is a qualified engineer and quantity surveyor, has an undergraduate degree in Accounting and Commercial Law from Victoria University and an MBA from the University of Wollongong, specialising in Finance. He is also a member of the Institute of Directors. His father, Wi Riwai Tauwhare (George) grew up at Rāpaki (Ngāti Wheke), the third son of Whakamarurangi and Maata Riwai Tauwhare. Warwick brings with him a diverse range of business skills and a kaupapa Māori approach to environmental responsibility. Living off the land, being self-sufficient, and continuing our mahinga kai (food gathering) traditions has always been important to Ngāi Tahu. For centuries, we have survived by harvesting resources from the forests, the plains, the lakes, the rivers, the seas and the surrounding islands. Our ancestors were hunters, foragers, fishers, and gardeners. The rugged terrain and harsh climate of Te Waipounamu (the South Island) drove innovation and the development of ingenious ways to preserve, store, transport, and trade our resources. At Ngāi Tahu Farming, we embrace the hardworking, innovative, and pioneering spirit of our Ngāi Tahu tīpuna (ancestors). We encourage our people to push the boundaries, embrace technology, and find better ways to manage our lands and waters in line with our values. 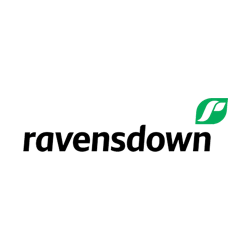 "It’s great to be leading a team that’s focused on building a strong and sustainable rural business supporting environmental, social, cultural, and economic outcomes." Ngāi Tahu Farming is a young whenua based business that takes an intergenerational view of growth. Andrew sees the future development of the organisation as wide open, with operational performance as the immediate business priority. Ngāi Tahu values, iwi aspirations and the wisdom of Mana Whenua guides Andrew in charting the direction of travel for the organisation where achieving sustainability across people, planet, profit and culture is the goal. Prior to joining Ngāi Tahu in July 2015, Andrew led his own consulting practice across a range of industries with an emphasis on strategy, performance improvement, risk management, and organisational alignment. Before consulting, Andrew held international roles for companies operating in global markets including Forestry Corporation, Heinz-Watties, and a senior position for Carter Holt Harvey based in the United States. He is also an independent director with past appointments at farmer cooperatives based in the Canterbury region. "It’s enormously rewarding and exciting to be part of a team developing farms based on best in class practices and creating opportunities for talented kaimahi." Commercial and Market Development looks at new Whenua based opportunities to create value and take the organisation closer to the consumer. Ben’s primary responsibilities include the identification and development of commercial opportunities and the partnerships, which optimise the value derived from the farming assets within the Ngāi Tahu farming portfolio. 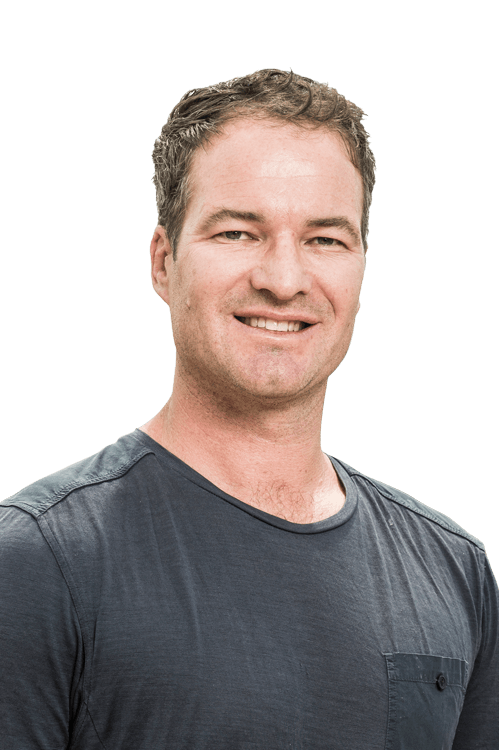 Ben grew up on a sheep and beef farm in the Rangitikei region and is an entrepreneur at heart having owned several small businesses in Christchurch and Queenstown after graduating from the Canterbury University. 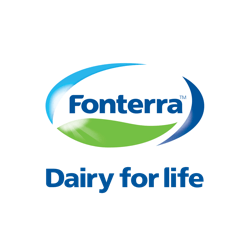 Before joining Ngāi Tahu Farming in 2014, Ben was a global account manager for Fonterra responsible for their branded business through Asia, Pacific, Middle East and Africa. Ben’s diverse background allows him to bridge existing farming models with future focused opportunities which are fundamental to taking the organisation towards more environmental, social, cultural, and economic outcomes. "I am passionate about attracting, developing, engaging, and retaining talented kaimahi (employees); creating a values-based work environment where kaimahi can realise their full potential." The prosperity of our people, in all its forms, is at the heart of the Ngāi Tahu Farming kaupapa (purpose). Claire's role covers a very dynamic business which employs over 200 kaimaihi across various business functions within Te Waipounamu. Claire is responsible for the operational and strategic leadership of the people and development within Ngāi Tahu Farming. 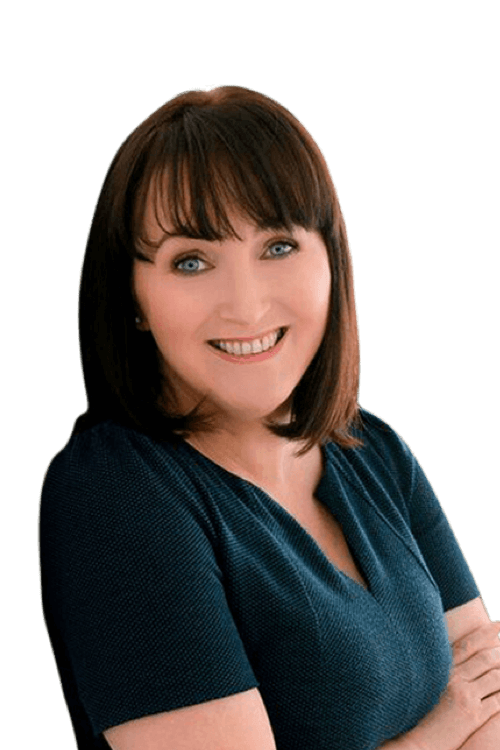 Her role covers organisation design, learning and development, performance review and improvement, remuneration, cultural development, employment relations and recruitment. Claire, also from a farming family calls Kororāreka (Russell) home. Claire’s professional experience includes the large Australasian retail brand, Hallenstein Glasson Holdings Limited, Vodafone New Zealand and Vodafone Hutchison Australia. 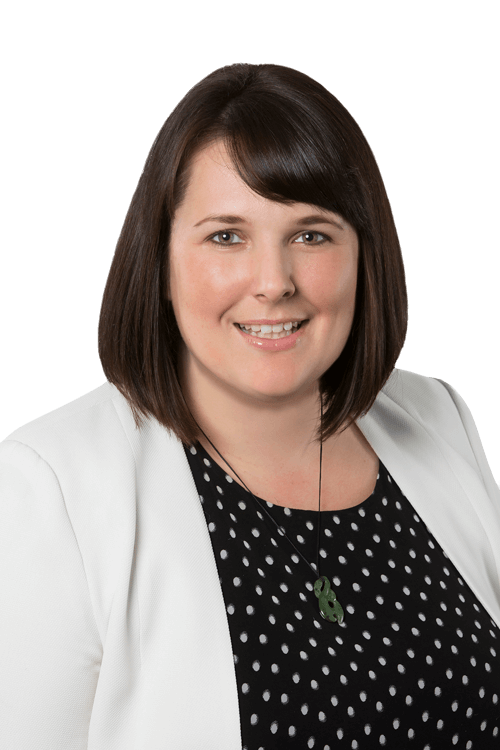 Claire was also involved in the establishment of the HR function for the Canterbury Earthquake Recovery Authority (CERA) and was the President of the Human Resources Institute of New Zealand (HRINZ) Canterbury branch for FY16. "The opportunity to align my goals for the regeneration of the natural environment with organisational purpose was a significant influence in my decision to join Ngāi Tahu Farming. 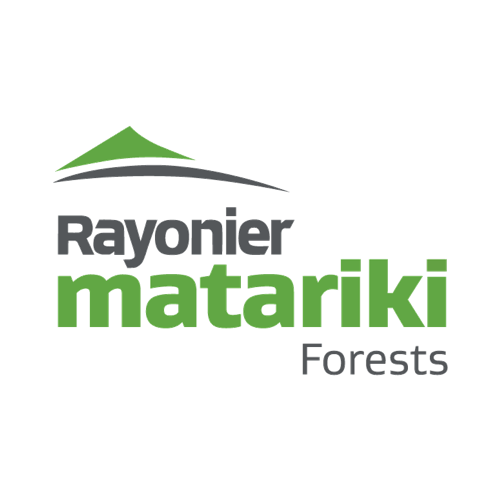 Successful management of the Ngāi Tahu Forestry portfolio is dependent on maintaining strong working relationships across multiple stakeholders in line with Ngāi Tahu values, best practice for Health, Safety and wellbeing, innovation, the creation of improved practices that reduce unfavourable impact on the natural environment from our commercial activities and upholding the tribe's role as kaitiaki (custodian) of the environment." Darrell’s grounding as a mechanical engineer informs his approach to operational excellence; with a focus on lean manufacturing and continuous improvement as a source of safer and more productive work environments. Before joining Ngāi Tahu Farming in 2019 to lead Ngāi Tahu Forestry, Darrell was the Chief Executive of Allan Scott Wines and prior to that was a member of the Nelson Forests Lead Team and General Manager where he led performance improvement and redevelopment of Kaituna Sawmill. "I enjoy the people that I meet and work with every day. I believe that Health & Safety has the ability to improve the working day for our people, and I am proud to be part of that improvement." Ngāi Tahu Farming covers some of New Zealand’s most dynamic and hazardous working environments. This means every day is a new opportunity to make the connection between Health, Safety and Wellbeing and productivity and efficiency. Michelle sees Health, Safety and Wellbeing as an outcome of business culture and strategy rather than process or a folder on a desk. Leading the strategy and driving implementation means giving kaimahi the power and opportunity to be part of the process; where our kaimahi are the solution and not the cause. Michelle has worked in several large corporate organisations in Auckland such as Fuji Xerox and Air New Zealand. 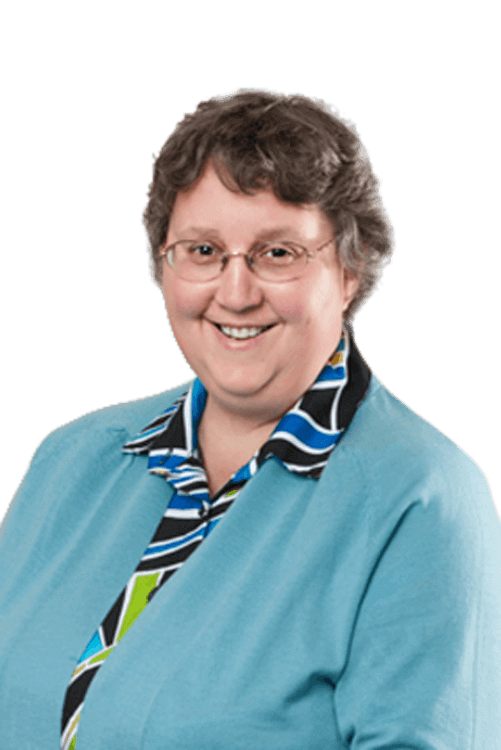 Throughout her career, she has led people and process re-engineering with a focus on systems improvement. Most recently Michelle was employed at Te Rūnanga o Ngāi Tahu as the Business Support Manager. This role saw her managing the facilities for a number of Christchurch sites for Ngāi Tahu, as well as participating in the Health & Safety Committee. This is where Michelle’s interest in the field of Health & Safety began, and over the four and a half years she held this position she was able to develop the skills and knowledge that led to her appointment at Ngāi Tahu Farming in February 2016. "Our business is unique mix of exceptional professional opportunities combined with a fantastic team of like- minded people making this the place to be." Ngāi Tahu Farming brings together expert farmers who work with the land to produce exceptional beef and lamb ethically and sustainably. 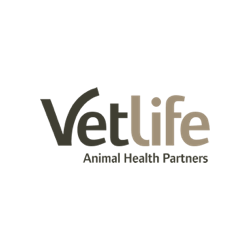 Pete together with his team are committed to creating the benchmarks for animal nutrition and care across the three farming locations in Te Waipounamu. Pete develops and leads the beef finishing, dairy young stock farming and cropping systems at Te Whenua Hou, the newly converted farms at Balmoral, and the Ngāi Tahu High Country Stations at Wakatipu. Pete’s commitment to excellence in all aspects of farming began with his appointment to manage the prestigious Richmond Brook Station at a very young age. Originally from a sheep and beef farm in the Marlborough Sounds, the eight years at Richmond Brook enabled Pete to develop his formula for success further. At Ngāi Tahu Farming, Pete and the team place great importance on the role of good nutrition, animal husbandry and attention to detail as the hallmarks of excellence. The results of which are seen by our market leading customers and enjoyed by consumers worldwide. "I’m proud to be part of Ngai Tahu Farming’s team, as it is very rewarding being part of making a difference to the environment and people’s lives through positive change." Sustainability is inherent in the kaupapa of Ngāi Tahu Farming and covers every business function, geographic location within Te Waipounamu, and anywhere our product is used or consumed. Rhys has an in-depth understanding the business which allows him to drive sustainability initiatives across the business. Rhys joined Ngāi Tahu Farming on a fulltime basis in 2013 to lead land development and asset management. Before Ngāi Tahu Farming Rhys was working with an Auckland development company during the Christchurch rebuild and has also spent nine years overseas, playing rugby and working in the yachting industry. In 2018 Rhys assumed his current role to lead the sustainability initiatives across the various divisions within Ngāi Tahu Farming. 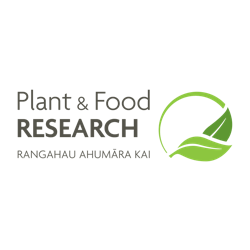 The role involves working with a wide variety of stakeholders to ensure Ngāi Tahu Farming delivers on sustainability across all four bottom lines. 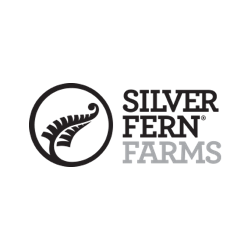 "We have a dynamic team focused on building Māori leadership within in the agricultural sector. We integrate Ngāi Tahu values into mainstream farming, emphasising the key values of whanaungatanga, tohungatanga and kaitiakitanga." Te Whenua Hou is a commitment to excellence in dairying through innovation, executing best practice and adherence to Ngāi Tahu values. 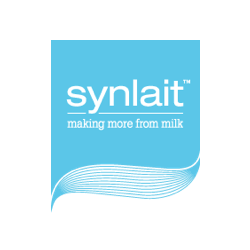 Shane leads a highly experienced team of dairy professionals utilising world-leading technology to reach for improved product quality and sustainability. Shane joined Ngāi Tahu Farming in 2013 as the Rural Project Manager where he was responsible for overseeing the conversion of forestry to irrigated pasture. 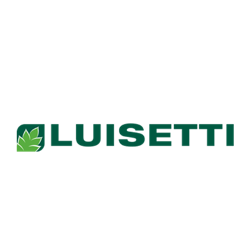 In 2015 he was appointed to his current role where he leads the trial and adoption of new technologies in line with the guidance of Mana Whenua to drive profitability and champion industry best practice in animal nutrition, soil management and irrigation. Before joining Ngāi Tahu Farming, Shane began his dairy career with Landcorp in 2003 where he was involved in their conversion of pākihi-type land to dairy. His work with Landcorp saw him named New Zealand Farm Manager of the Year in 2009. The following year, Shane was appointed Operations Manager, which meant he was responsible for over 4800 cows and 2100 hectares of land. Before his successful career in dairy Shane’s background was in banking with Westpac. "I enjoy working in such a supportive and flexible work environment and appreciate the fact my day-to-day work is varied and challenging, and that I’m continually learning. It’s great knowing the work we are undertaking today to build the asset base of the iwi will benefit many generations to come." 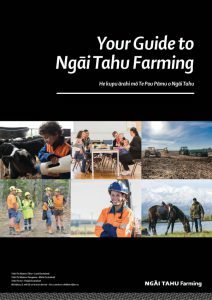 Ngāi Tahu Farming operates a diverse portfolio of businesses across Te Waipounamu spanning multiple industries, business functions and customers. Stephen is responsible for managing the financial reporting framework across all business functions which underpins sound decision making across the business. Stephens work spans monthly and annual accounting cycles, maintaining the general ledgers, preparing monthly management reports and working with the operational teams to prepare annual budgets and forecast financial results. Stephen began his career with Price Waterhouse in their business advisory division before moving to the UK. While in the UK Stephen worked in contract accounting roles before spending nine years at payment systems provider ACI Worldwide as their Group Accountant for the Europe, Middle East & Africa region. 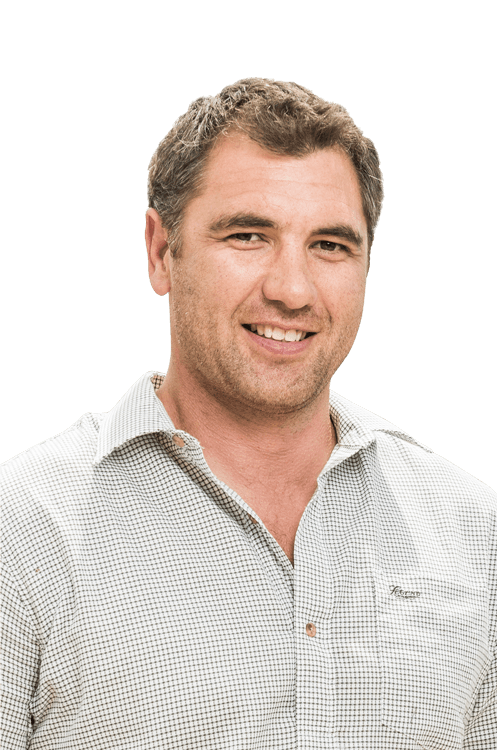 After returning from the UK in late 2011, Stephen joined Ngāi Tahu Property in June 2012 before assuming his current role with Ngāi Tahu Farming in July 2015. Our relationships with our communities and mana whenua in particular contribute to our success. It is important to us that our whānau are included in setting the direction for our businesses and that we are working towards meeting their expectations of us. Our mana whenua working groups allow for this and provide us with continuous feedback on our operations. We currently have a Mana Whenua Working Party established for our Te Whenua Hou and Balmoral operations. This group is made up of members of Ngāi Tūāhuriri and Ngāti Kurī (sub tribes of Ngāi Tahu), who hold mana whenua (authority) over the Hurunui and Waimakariri catchments. This group works closely with Ngāi Tahu Farming, providing advice on the cultural, environmental and social aspects of the businesses so that what we do and how we do is in line with Ngāi Tahu values. Our Ngāi Tahu values guide us in everything we do and shape all of our decisions. Living by our values requires constant mindfulness, strong leadership, and role modelling. We do not always get this right, but we are committed to continuously improving. Whether you are starting your career, or you are an experienced professional looking for a career-defining role, Ngāi Tahu Farming offers the opportunity for personal growth and professional development. We place sustainability and people at the heart of everything we do. 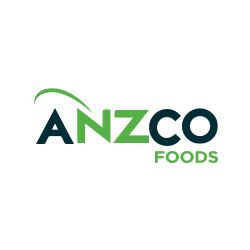 We believe in profitably growing and farming sustainable products for the long-term betterment of our people and the planet. We achieve this by pursuing financial, environmental and social outcomes with sustainability at the heart of everything we do. Together, we will learn and develop ourselves in a collaborative and empowering environment. So, join us and contribute to positive change. At Ngāi Tahu Farming we’re committed to everyone returning home safe and well every day. Role modelling the right behaviour, communicating our expectations across our teams, ensuring that our facilities are well designed and maintained and working with others is at the heart of our approach to health and safety. We value the importance of personal safety, the safety of our workmates, visitors to our operations, and to the public in all areas, at all times. We are committed to minimising incident rates in our business, and we specifically focus on the high-risk activities which span across the farming and forestry sectors. Our board, chief executive and senior management all play an active role in health and safety. This focus, coupled with a strong safety management programme across our businesses means we are doing as much as we can to keep our staff and manuhiri safe. If you want to work with us on health and safety matters, please email us on safe@ngaitahu.iwi.nz. As a Ngāi Tahu company, we understand that working together with mana whenua, our communities, technical advisors, and our partners is crucial to our success. 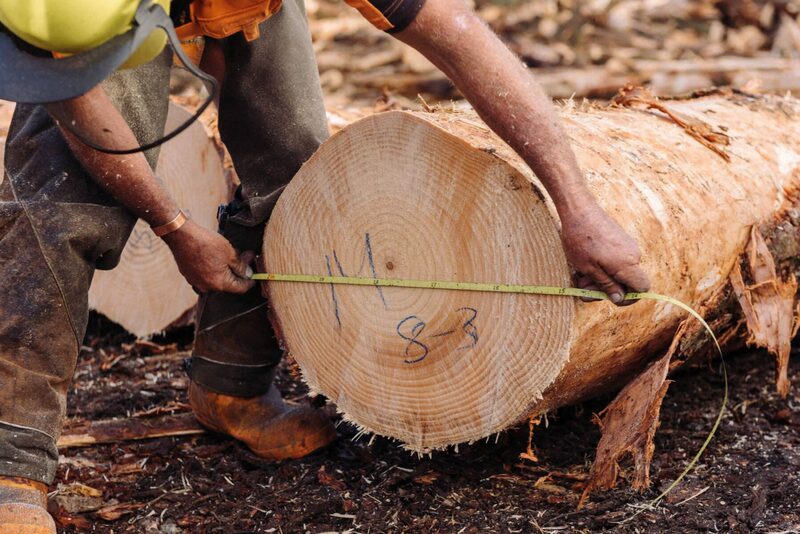 Our partnerships foster collaboration which improves the way that we farm, the way we work and the way we produce timber, food, and milk so that we can influence change in the industry. We are humbled to work with these organisations.